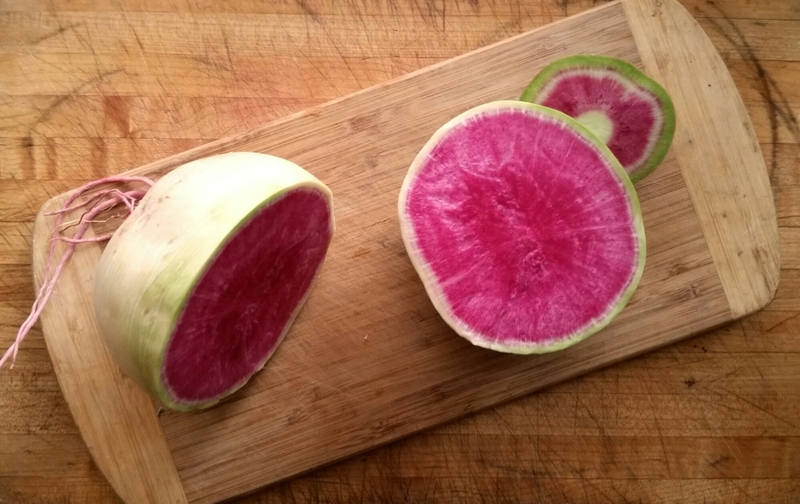 I love beauty heart radishes. Is there another winter vegetable so lovely? 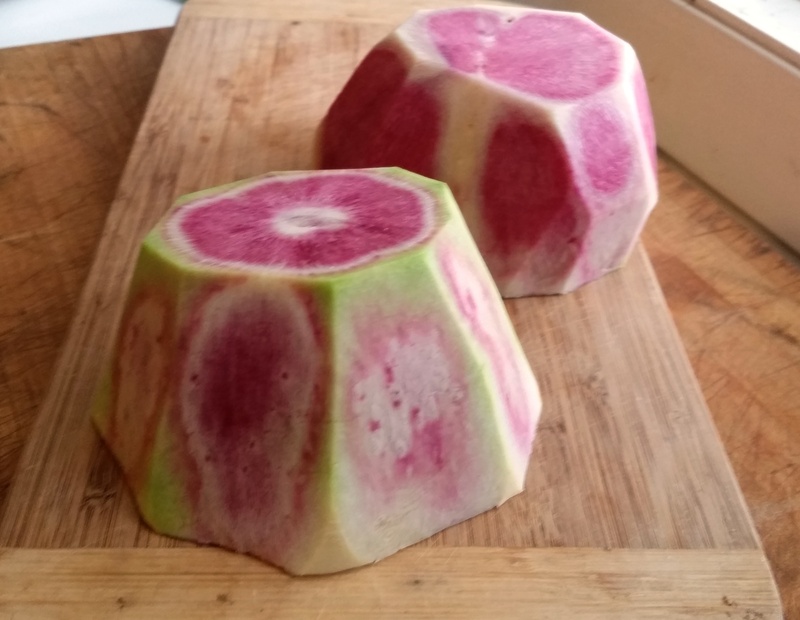 They’re also known as watermelon radishes. Look how pretty they are when you cut the peel away! They’re awesome with cream cheese or Neufchatel and a little salt. 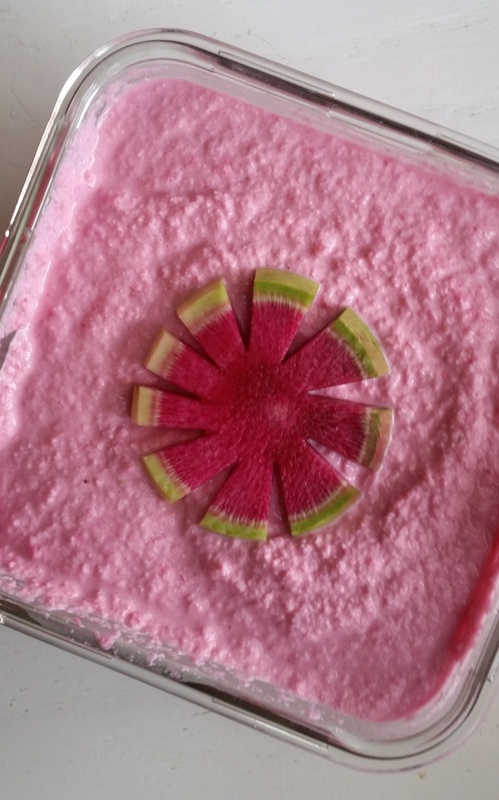 Peel and chop the radish into small pieces (whatever your blender or food processor can handle). Put the cheese in the bottom of a blender or food processor. Add the radishes and salt. Purée. Eat on crackers, carrots, or whatever strikes your fancy. I've never seen these before Kathryn (and won't know as we're entering Summer in Australia) - what is the taste like? The same a small radishes? Yes, it's pretty similar to small red radishes. Even the texture is similar, though you have to remove the skin, which is tough.